Acer palmatum is a small slow growing, deciduous Japanese maple, which can be grown as a shrub or small tree. 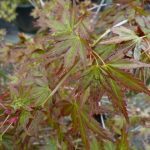 The delicate foliage of Acer palmatum is small, five-lobed and deep green in the spring. These turn a stunning red in the autumn. It has an overall height of between 6-10 metres. 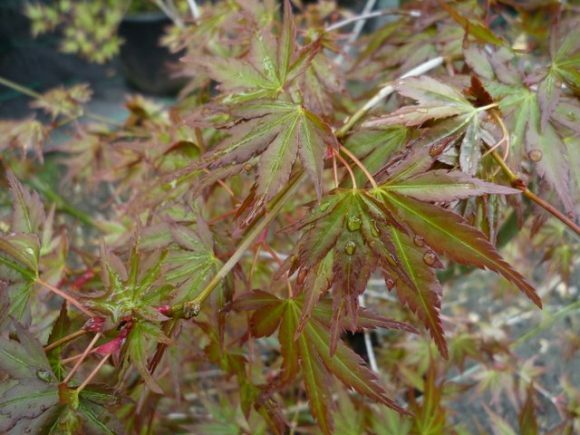 Acer palmatum requires well-drained soil with an acidic pH, which will enhance the autumn colours. It can be grown in a semi-shaded position, as too much sun will scorch its fragile foliage.